Casino Land demonstrates how to create a gaming environment which can satisfy the needs of players. The excitement of playing on the site is contagious. A relaxed frog welcomes the visitors and points to the game titles that can be accessed upon registration. The casino account can be created by following a simple two-step process. A little form has to be filled out as a prerequisite. The website is primarily known for offering very realistic games. Out of all the game categories, the live game category has the biggest potential appeal! The presence of various software providers adds to the variety of the game offer. Here are just some of the game suppliers; Microgaming, NetEnt, NYX Gaming, Play N Go and Quickspin! A nice Casino Land Bonus deal appears before the eyes of first-time visitors. It is a bonus on the player's first four deposits! A 100% match up to $200 is promised to players on the first deposit. A player who makes a second deposit can count on a 50% match up to $200. The third or fourth deposit-making players can count on a 25% match up to $200. To simplify the matter, a first deposit of $100 turns into $200. Unfortunately, the $800 bonus is the only real promotion on the website. Therefore, a comparison with other casinos leaves the casino in a tough spot. That said, the single deal is actually quite good! Thankfully, the players will have more than one option when it comes to payments. These methods would include; Visa, Neteller, Skrill, PaySafeCard, Euteller, Trustly, etc. The safety on the site is clearly a top priority for the casino staff. That's why the software had to go through all kinds of security checks. End to End and SSL technology is being utilized in order to maintain high-level security on the website. Since the casino has been licensed in Malta, it has plenty to offer to European visitors. Such players can always be counted upon when it comes to traffic. But the account cannot be set-up if a player happens to be a resident in any of the following locations; United States of America, France, Belgium, Bulgaria, Spain, Italy, Ireland, Denmark, Turkey, Estonia, Portugal, Romania, Singapore, and a number of other places. English is the only supported language for website navigation. The top 10 game list uncovers the popular titles. 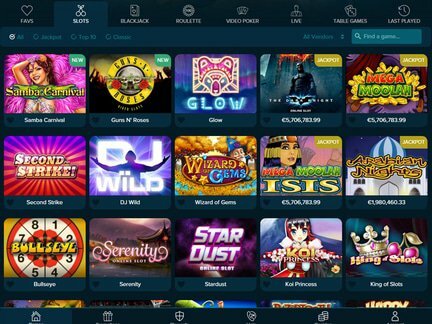 At this moment, the following titles have been featured on the chart; King of Slots, Starburst, Thunderstruck II, Immortal Romance, Rage to Riches, Gonzo's Quest, Game of Thrones 243 Ways, King Colossus, Razortooth & Hooks Heroes. Other games are also quite entertaining! Players can seek them out in these categories; Slots, Blackjack, Roulette, Video Poker & Table Games. The last game category features Punto Banco Pro and Baccarat Pro! The website has not received a lot of coverage on forums. That's why the complaints cannot be spotted. On the one hand, it is good to know that the negative information is absent from public forums. On the other hand, it makes one wonder whether the casino is truly trustworthy. It is probably best to enter the casino with a somewhat cautious attitude. The nice thing is that the casino features good phone support for players from international locations and distinct numbers for residents of New Zealand, Australia and Canada. Live chat and e-mail support is likewise provided by Casino Land. I had a great time inside the online casino environment at Casino Land! I thought that the mix of games was just right. It will surely be an entertaining game package for visitors. I am only worried about the lack of good promotional deals outside of the welcome bonus. 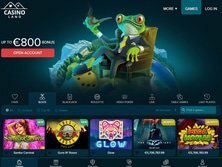 Since the players often choose an online casino based on the presence of promotional deals, I am skeptical about whether the players will stick around for longer without any incentives. The casino needs to address this issue, especially if it wants to contend for a spot in the big league.